Did you know that Noah Cyrus, Miley’s 18-year-old younger sister, is a talented and promising singer in her own right? If you’ve never even heard of the little Cyrus before this moment, welcome. This is only the beginning. From the looks of her latest feature, “My Way,” a collaboration with UK electro-pop duo One Bit, Noah’s working hard to establish a name for herself as a clubby-pop virtuoso—like songwriter Billie Eilish, if she drank a Red Bull and sang over beats with a higher BPM, or if teen talent Hailee Steinfeld had more of an edge. (Outside of Steinfeld’s ode to female masturbation, “Love Myself”, of course.) The music video for “My Way,” released today, is a visual as high-energy as the song, depicting a wacky dinner party in which pink- and blue-clad guests declare war and start attacking each other. A metaphor for the gender gap? But for now, it seems like Noah is still finding her own voice, a journey which has included some serious missteps. The most obvious of which is her collaboration last year with XXXTentacion, “Again.” The rapper has been facing charges of aggravated battery of a pregnant woman, domestic battery by strangulation, false imprisonment, and witness-tampering since last October, and people were outraged when the song premiered. Rightfully so. 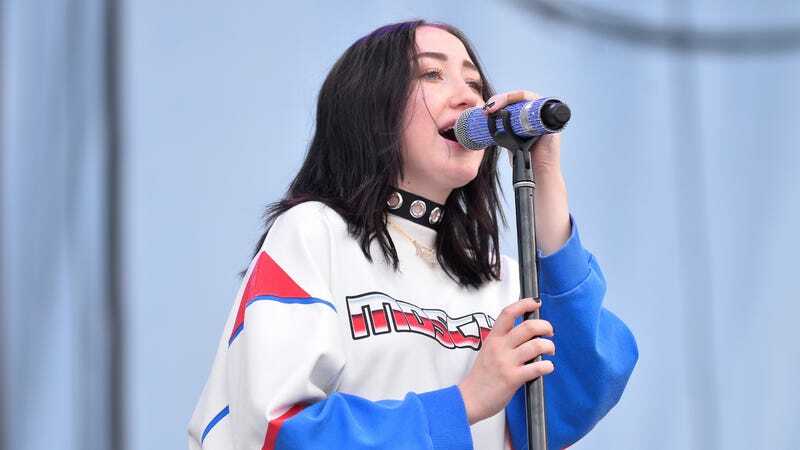 Whether Noah Cyrus decides to go the route of weepy ballads like “Make You (Cry)” and “Almost Famous,” or continue making jams for the dancefloor (or both! or something different altogether), she’s going to keep making music, making a name for herself, and attraction attention, good or bad; let’s hope she does her research before teaming up with an alleged abuser. For what it’s worth, she’s not going away anytime soon. Strap in.